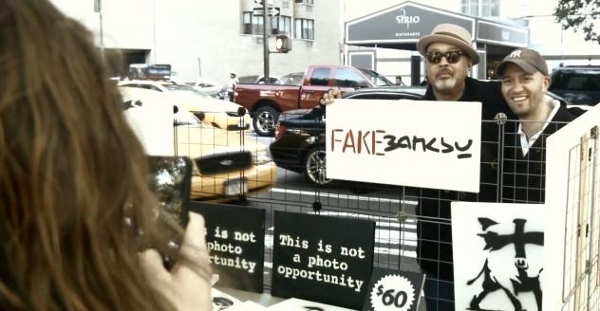 Inspired by Banksy’s street stall on Central Park that was only patronized by three customers, hoax artist behind ‘Fakebook’, Dave Cicirelli, decided to pull his own prank “to make a statement about the nature of hype, public personas, and the value of art”. 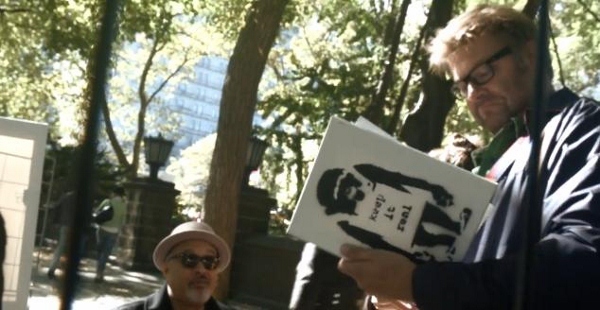 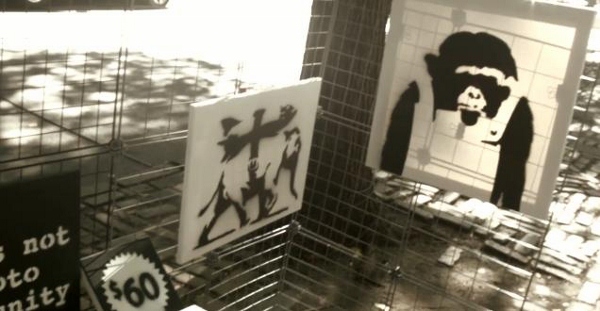 Cicirelli and his friends, artist Lance Pilgrim and filmmaker George Gross, set up a similar stand at the exact location in Central Park, selling ‘Fake Banksy’ artworks at the same price of US$60 a piece. 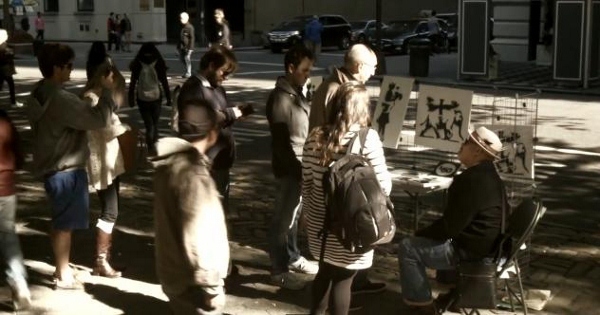 Lance’s father Michael Pilgrim acted as the salesman. 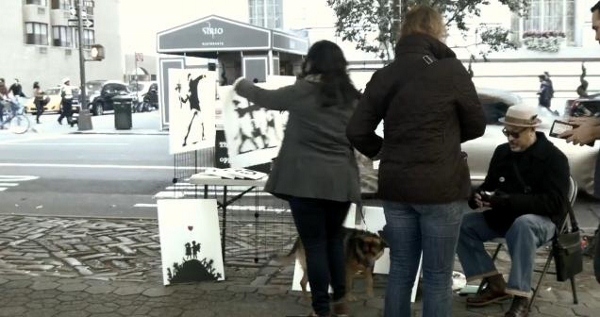 The artworks were evident copies, and the trio made sure to point this out to their customers. 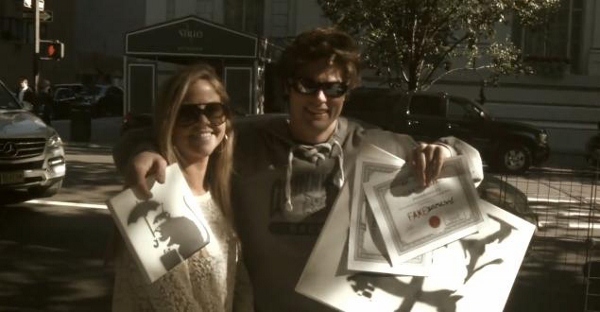 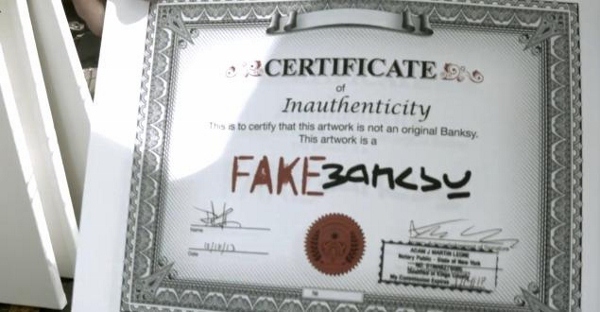 In addition to a sign labeled ‘Fake Banksy’, each canvas came with a ‘Certificate of Inauthenticity’. 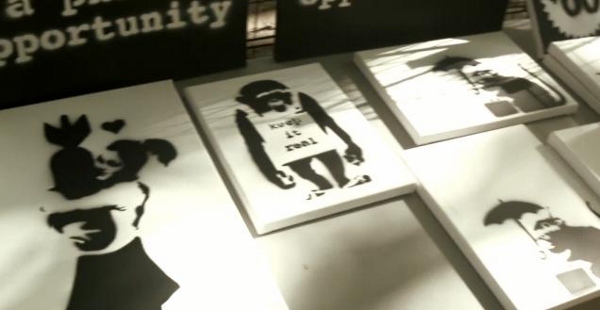 Still, everything was sold out in less than an hour, including the price sign. 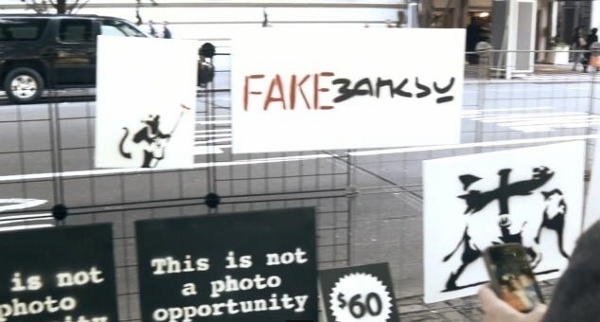 Would you buy a ‘Fake Banksy’?